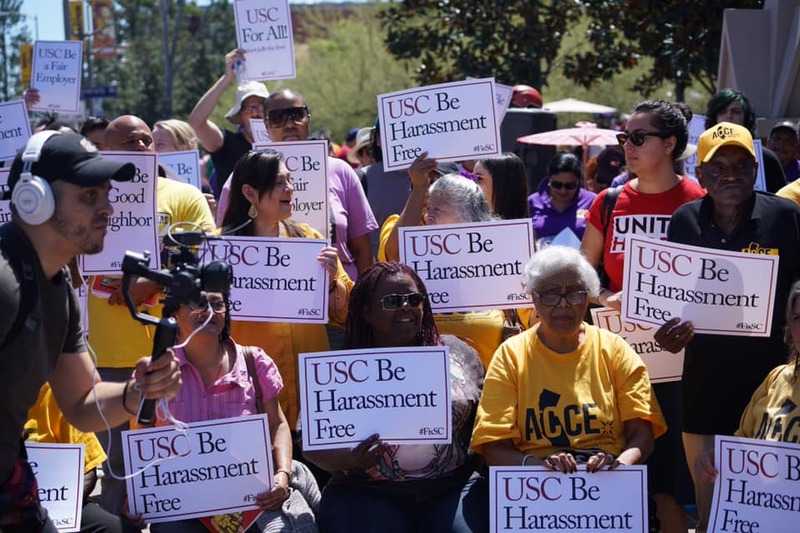 On Saturday, a broad coalition including community leaders, South L.A. residents, and USC students, erected a Tent City at the edge of the USC campus, demanding immediate accountability from university administrators in the wake of the most recent scandals rocking higher education. 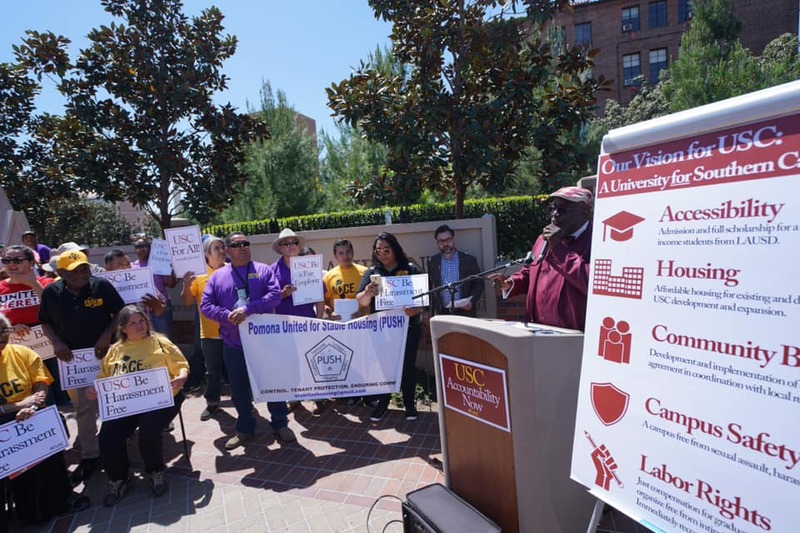 Participants are calling for immediate reform from university administrators for their fundamental role in perpetuating gentrification, displacement, and income inequality in Los Angeles, and have urged incoming USC President Dr. Carol Folt to reverse the university’s course. 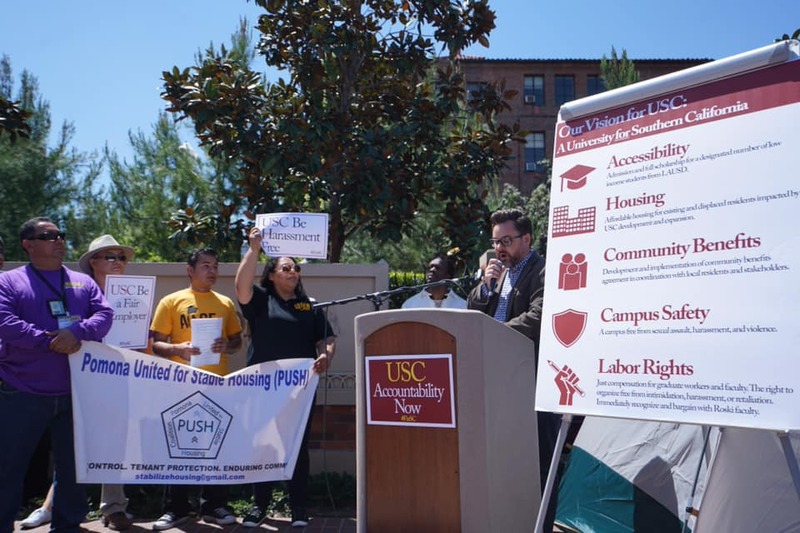 The coalition’s demands, which include increased access for low-income students, affordable housing for residents displaced by the university’s rapid development, and fair compensation and the right to organize without interference, were delivered to university administration in a letter last Wednesday. 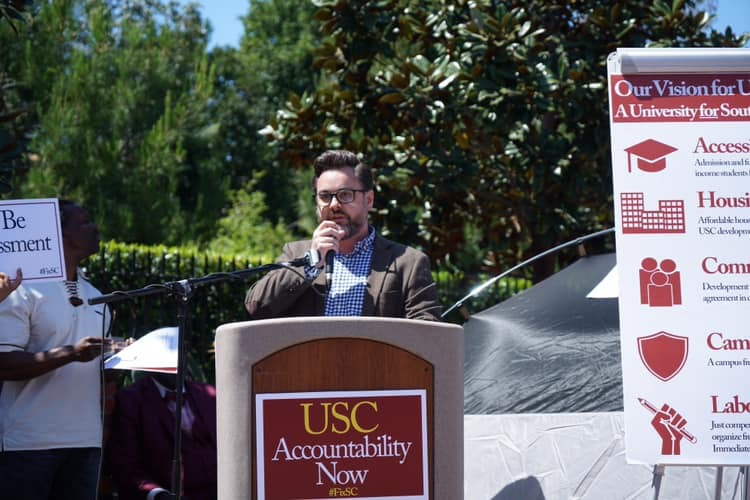 The Tent City is expected to remain at the edge of campus until the coalition’s demands are met. Follow us on Facebook and Twitter for real-time updates.